I don’t know how to go about researching this idea. How does one figure out how many cyclists are riding around? This source says most everyone are cyclists. I find that doesn’t sink in too well. Over on Skip Town, there are some pictures of bicycle taxis from Kenya that I can only describe as zany. Like many moments in this world you have to grab opportunities as they come to you, or you might miss them. 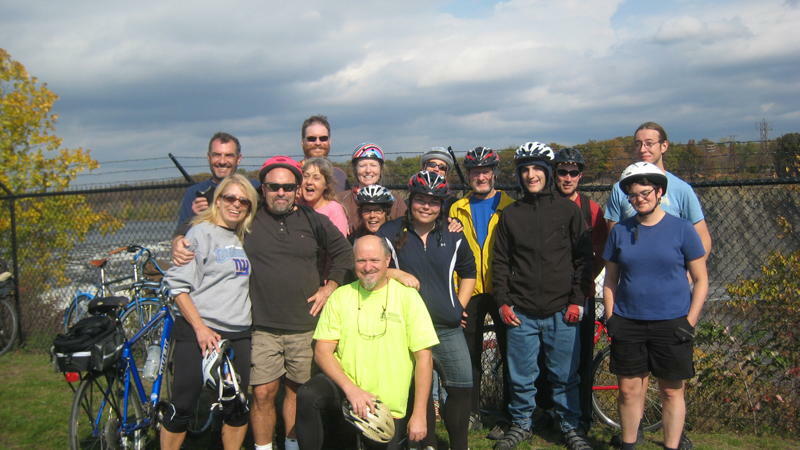 Yesterday I had the opportunity to ride the Erie Canal with a group of riders led by ABC member John Vendetti. The ride was a nice mix of education, perspiration, and fascination. It all started at the boat launch where John gave us the rundown of the ride with an overview of what the Erie Canal was back when they first built it. Soon we were off and rolling on what was going to be an adventure in cycling, at least for me. There is something you have to understand about my bike. It is “technically” a hybrid bike, but I found out yesterday that it loves roads better than grass. In fact, yesterday was the first day that I exercised the off-road portion of the bike. I am glad to say that it did perform, but now back to the ride. It is my understanding, and correct me if I am wrong, that there are sixteen locks (Edit: I just checked and it’s 18 locks –Ken) total. Some of them are closed off to the public and others have been buried over time, but the ones that are left are a sight to see. Especially if you are interested in early American history. After passing a few locks we came to what was called the Weighlock Building in which boats would come in and get weighed based on the amount of water they displaced. As you can see the stone rock made a nice podium. 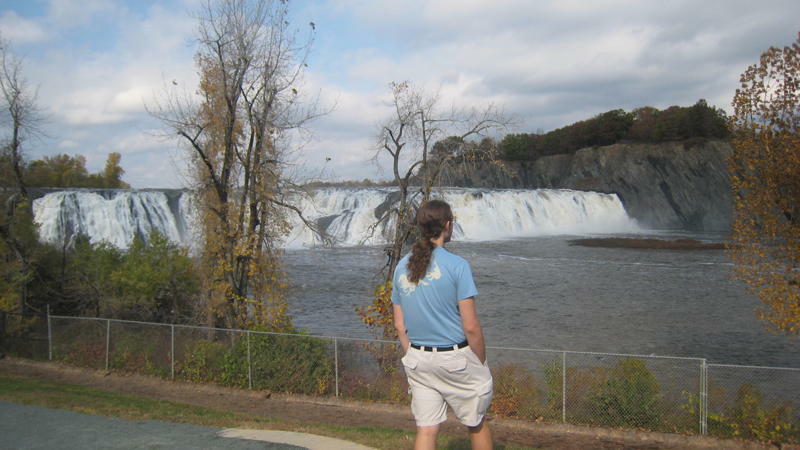 After the Watervliet Armory and the rest of the locks we came to my favorite part of the ride, the Cohoes Falls. To think that we have something like that in our own backyard is astounding. While everyone went down to get a closer look I just parked myself on a nearby bench and looked in with wonder at the falls. Next was a beautiful ride to the Champlain Canal where the trees were changing color and reflecting in the river. At the canal we got to see how it worked, and after a great lunch we headed home through Troy. Over all the ride was great. There was just enough biking to have a good time with the perfect amount of history and scenery along the way. If John ever does this again I would highly recommend it to anyone. You know, sometimes life comes at us hard and we feel stressed, but sometimes you just need to take a breath, step back, and be at peace. Sundays forecast is for sunny skies and temps near sixty. 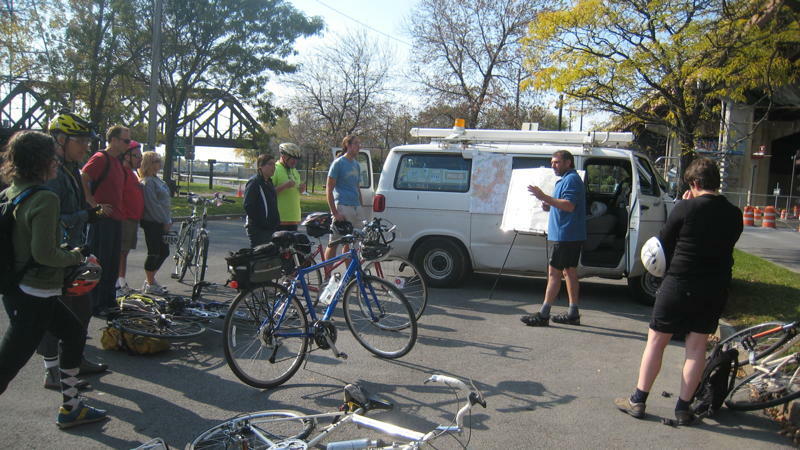 A perfect day to join ABC and other members of your community for a casual bike ride along the Old Erie Canal. Pack up some snacks and water, and prepare to hit the trail. Stout tires work best for this ride so leave your racing slicks at home. We’re riding along what was once the towpaths of the canal and there is both on road and off road mileage. Discover what still remains of this legendary waterway. Many truly spectacular and historic sights are to be seen on this ride with a “buy your own lunch” stop in the oldest incorporated village in the state, Waterford. Commentary at selected stops by a local history and Erie Canal buff. So come on out and enjoy the clear autumn air and learn a little local history or share a little of your knowledge with us. Don’t forget RIDE SAFELY, WEAR A HELMET AND HAVE FUN! 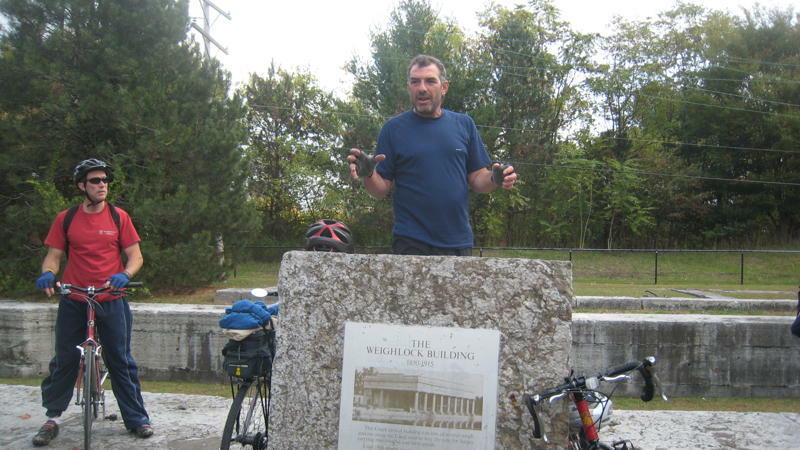 Join John Vendetti and your friendly, fellow cyclists on another exciting history tour. Where is the Erie canal? What’s still there? Where was the new, enlarged canal? Can you really ride your bicycle through a canal lock? How did the canal boats get from Troy to the canal? How does a lock work? This and more! Plus, you’ll find a wonderful, relaxing bicycle route that you can enjoy in the future with family and friends. After the departing from Waterford, we’ll pick up a sandwich and scoot over to Pebbles Island for a “picnic” lunch.